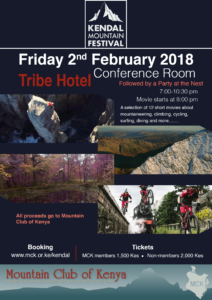 A special selection of 12 movies from the Kendal Film Festival about mountaineering, surfing, climbing, cycling, diving and more! The event is now officially fully booked. However, you can register your interest below and we’ll contact you if we accommodate you. Please do not pay. There will be popcorn and drinks for sale on the night. 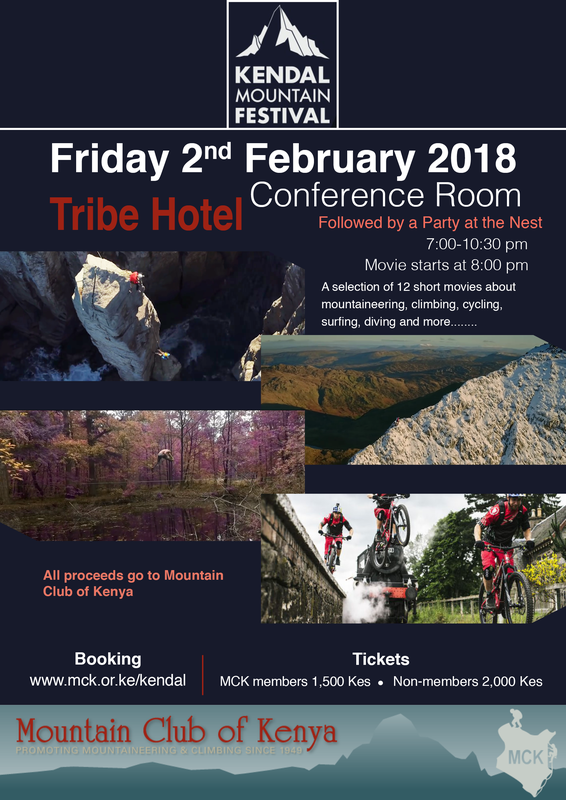 Please sign up for the Kendal Mountain Festival in Kenya using the form below, then pay with MPESA (preferred). Cash payment before can be made at a social night. The cost is 1500 for MCK members and 2000 for non-members (if you’re sadly not yet a MCK member, you can join here now).